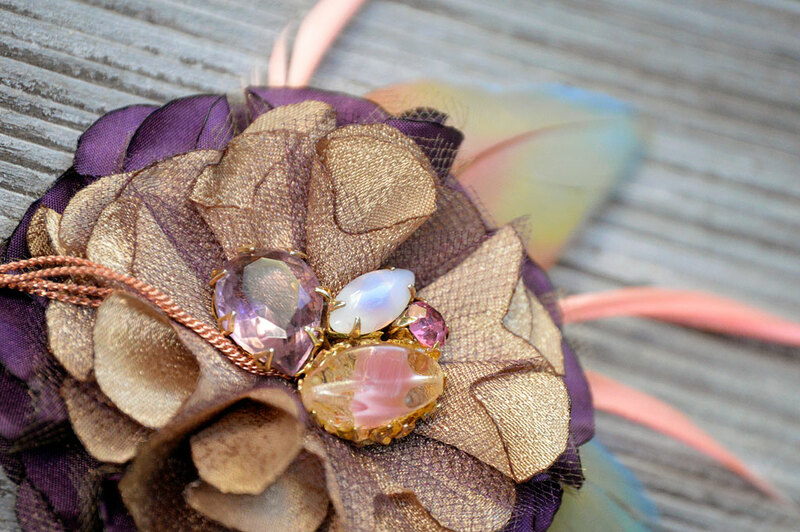 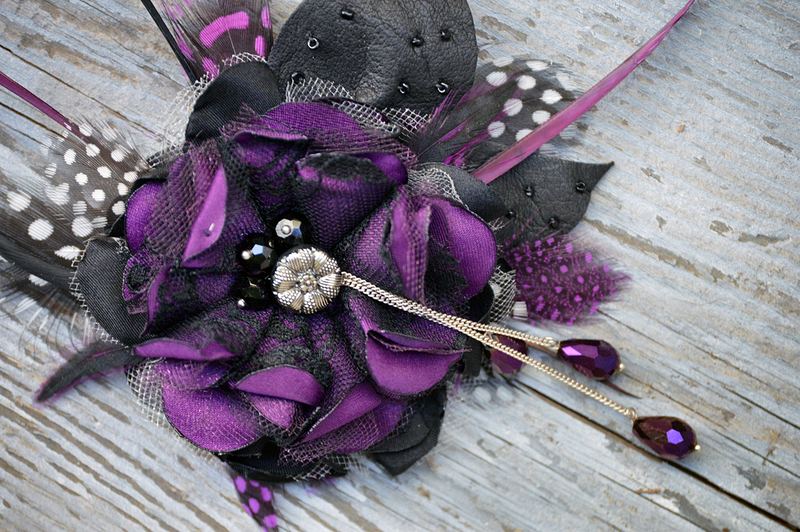 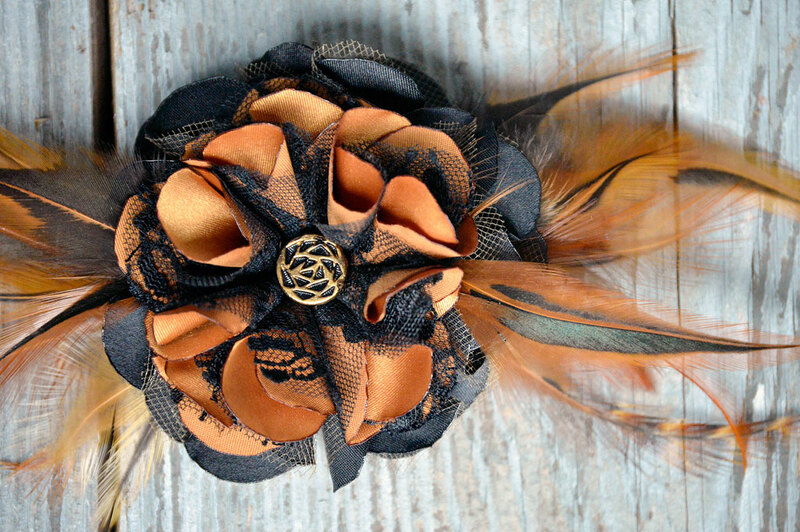 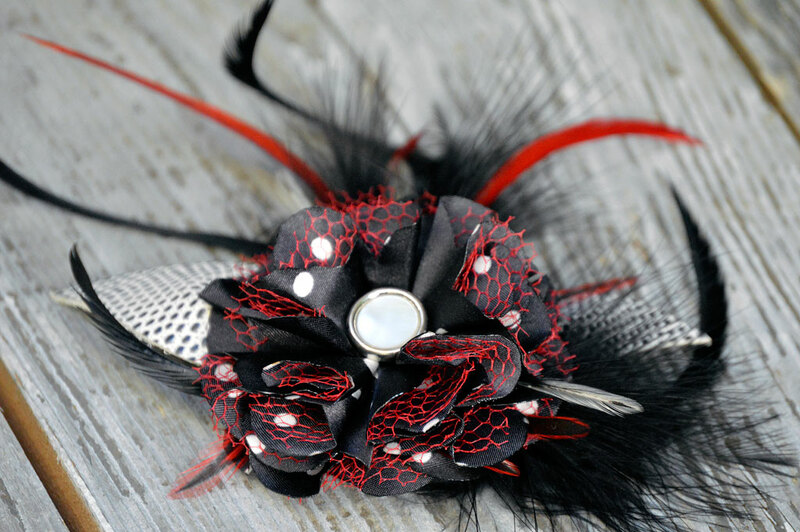 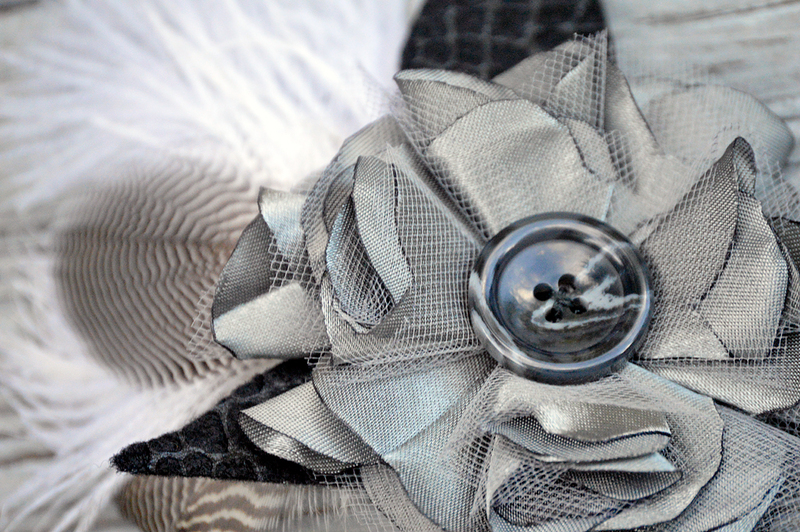 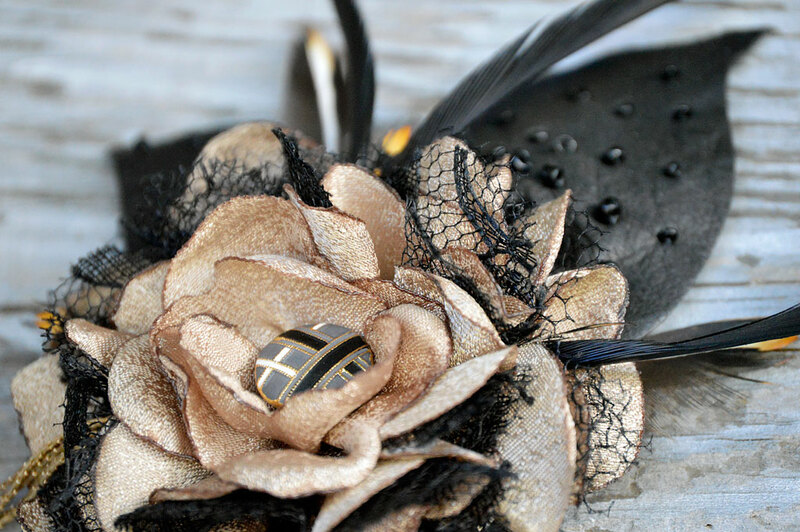 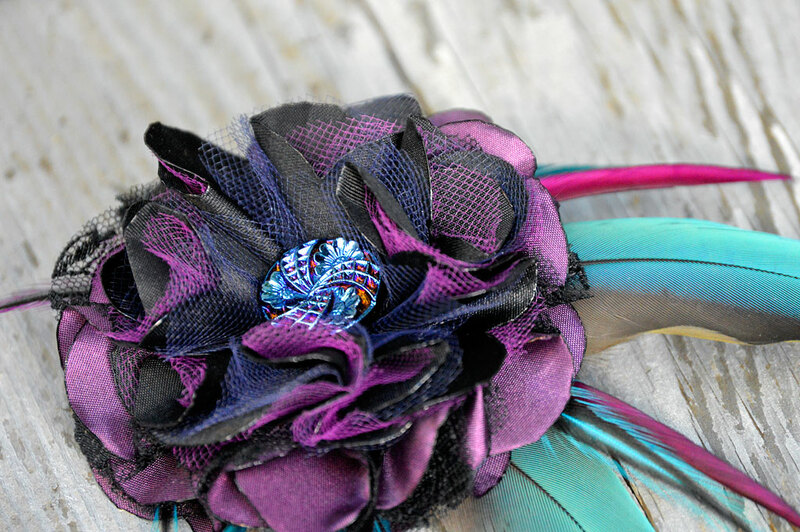 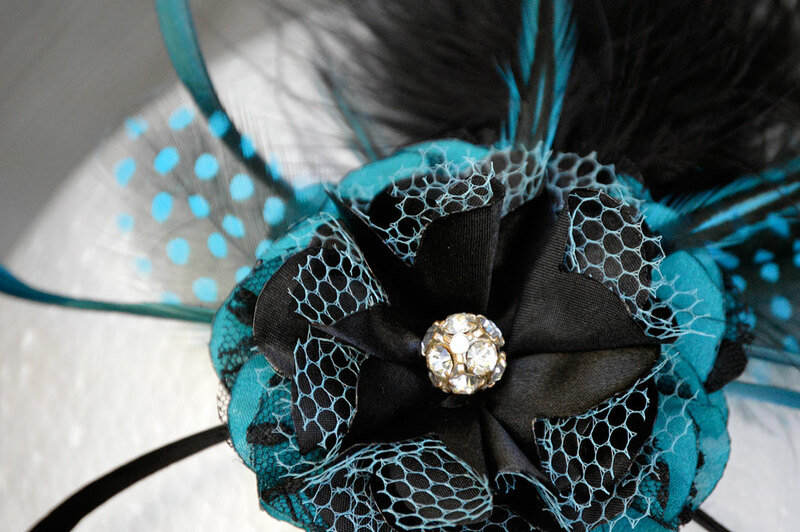 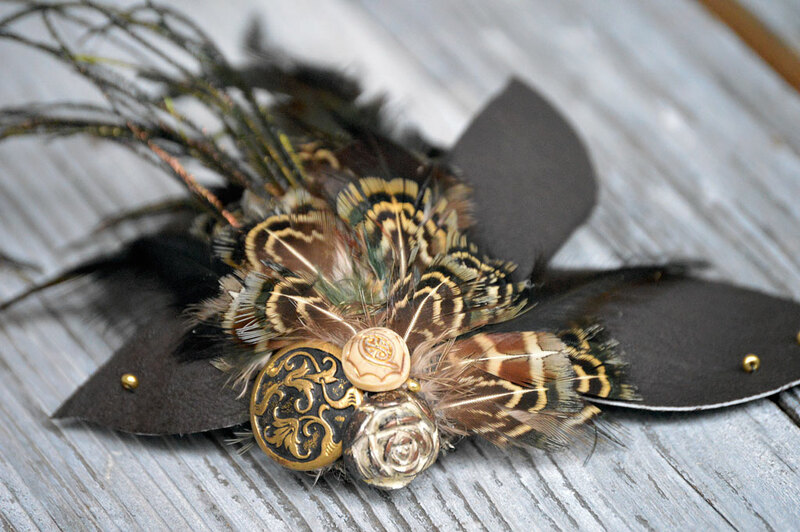 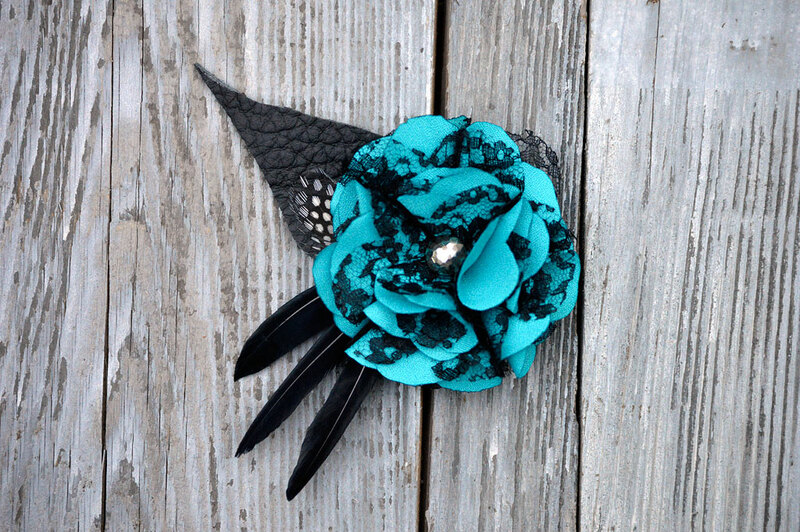 We create unique feather and flower clips for all occasions! 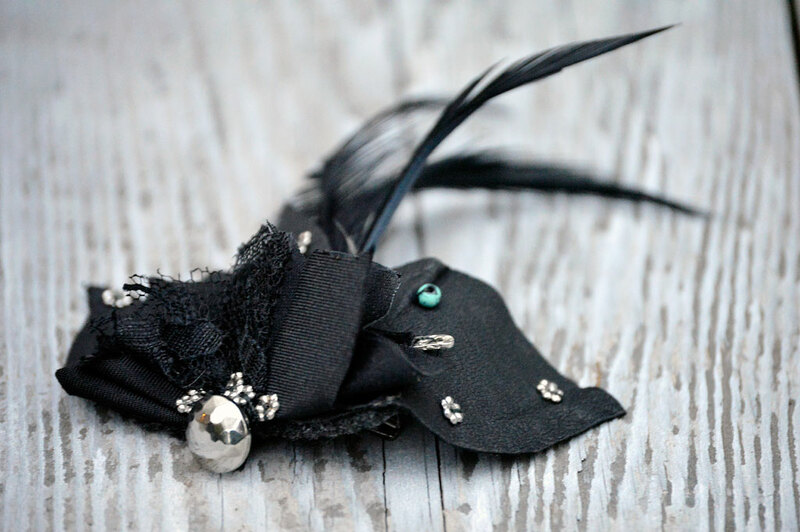 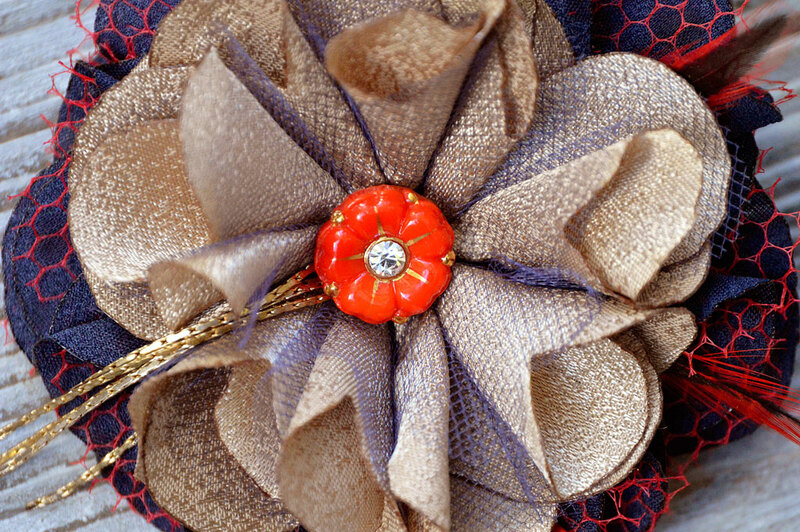 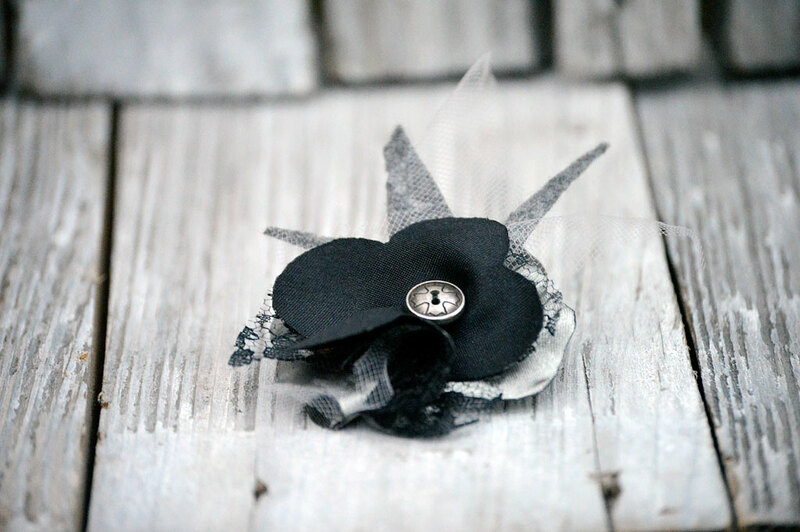 Our handmade accessories are produced using responsibly sourced vintage and new materials, and include both a steel alligator hair clip and jacket pin back. 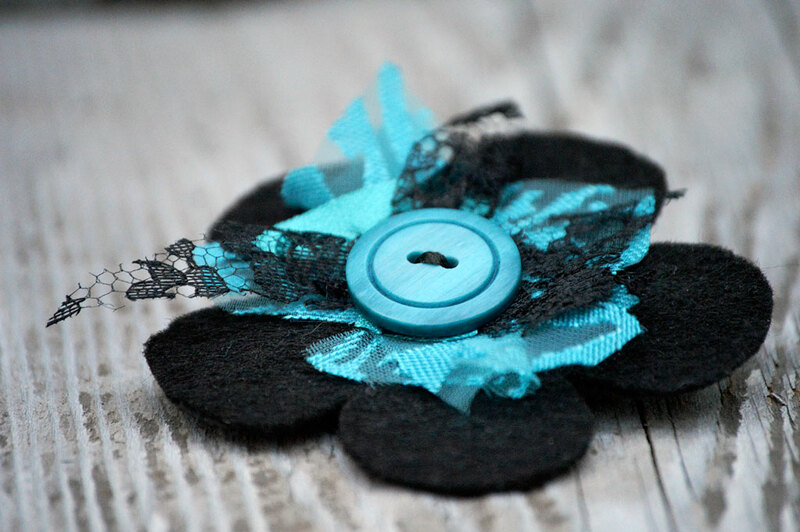 Shop current clips for sale, or contact us for custom requests. 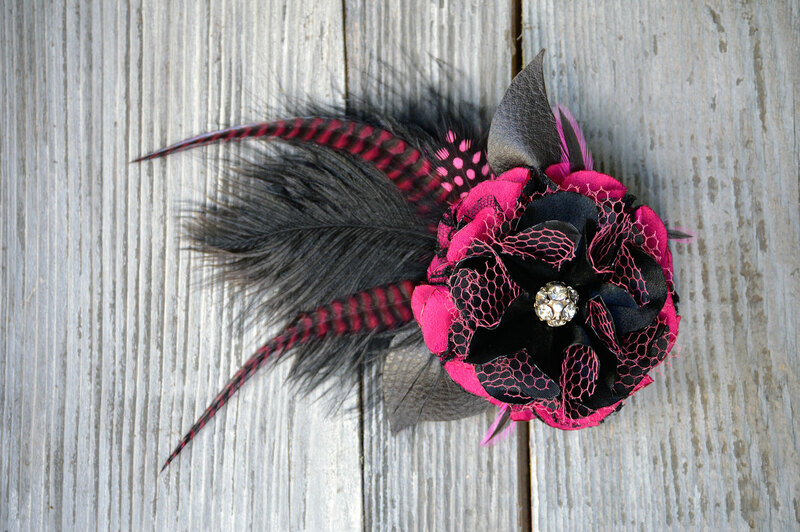 We do custom requests, too!